This Page Gives a brief look and overview of the all the machines we have available for sale. The various makes all take a different approach towards stair climbing, each with its own pro's and con's. The main deciding factors when purchasing a stairclimber for commercial or personal use are the maximum weight limit you are required to lift, the speed at which you wish to move (faster is not always better!) and how many personnel are required. The Powermate LE-1 is a very versatile powered stair climber. With a weight limit of up to 295 Kg's this allows a wide range of items to be relocated with relative ease. The Powermate M2-B is a the heavy weight hand operated powered stair climber. 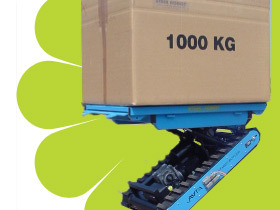 With a weight limit of up to 680Kg's this allows a massive range of items to be relocated with huge lifting power. The Sano Lifkar Hd range offers highly optimised and powerful lifting in a small package. With fold away options and removable batteries all fgor ease of use. One of the most popular in the Sano range. The Lifkar MTK offers highly optimised and efficient stair climbing package. 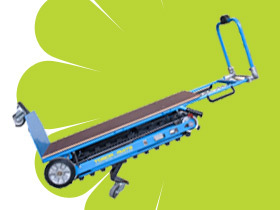 The Sano Liftkar SAL is our solution to fast access stair climbing. 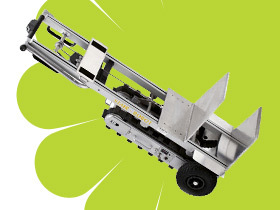 Probably the fastest machine on the market, it may offer a low weight lifting limit, but it certainly does it quickly! The Stair-Robot 1750 Heavy Duty Stair Climber is a truly versatile machine offering a massive 1000kg's lifting capacity and the added bonus of keeping the load horizontal. The Stair-Robot 450 Stair Climber is a truly versatile machine offering ease of use and powerful lifting capacity . The Stair-Robot Express Stair Climber is a the small and speedy stair robot offering ease of use and fast operation.